Is your closet in need of some major organization? 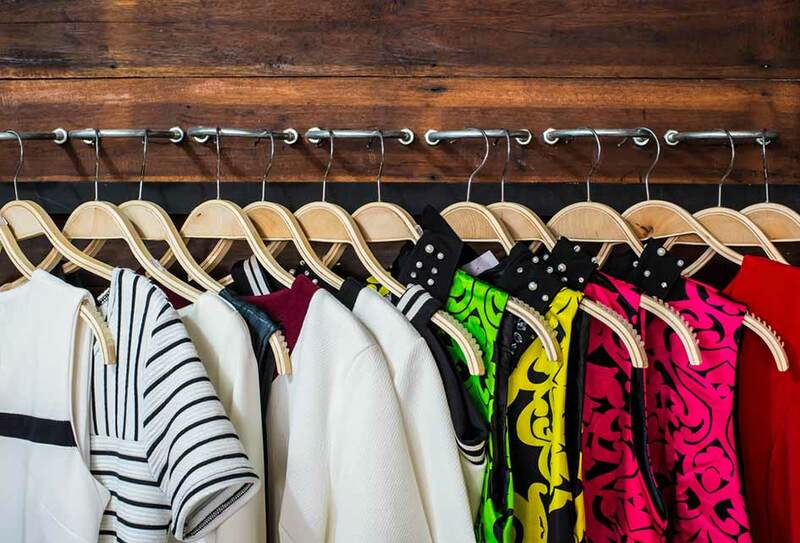 Check out these 9 helpful tips to turn your closet mess into an organized oasis. This is the fun part. Just like in all those home-improvement shows...It's Demo Day! Get everything out of the closet space you wish to organize and seperate out all the contents into "keep" or "donation" piles. This is key. Make sure to be completely honest with yourself about what stays and what goes. You'll be thankful once you start reorganzing everything that you donated some items. If you are nervous about how to make those tough "keep" and "donate" decisions check out Maria Kondo's method. She's a miracle worker! Alrighty, now that your closet is all cleaned out and you've gotten rid of those clutter items, it's time to design your perfect dream closet. 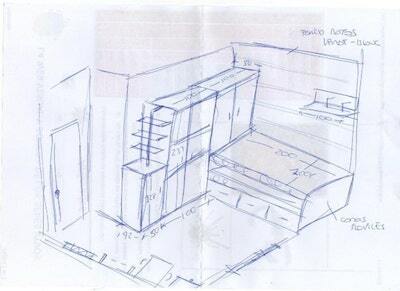 Start with a clean piece of paper and draw out the existing layout of your closet. Mark off each area and designate each space with a purpose. For example, the upper drawers are for socks, the right side hangers are for jackets. Once you have everything mapped out its time to organize everything into a storage category. This tip may seem obvious, but it makes all the difference when you want to locate your pink polka dot socks in a snap. Store all your belts in the same spot, hang your sundresses alongside each other, and keep your workout shirts separate from your pajamas. If you're feeling really up to the challenge you can organize by color as well! Everything you use on a regular basis should be at eye level. Think of the aisle at the grocery store. All the good stuff is at eye level, and your most beloved clothes should be to. For the lesser used clothes find unique storage spaces to tuck them in to. 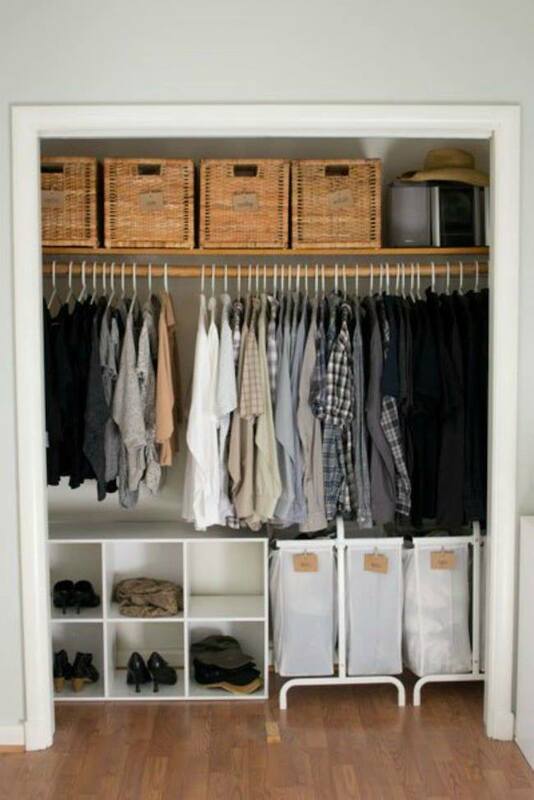 #5 Maximize Vertical Storage Space. This is a secret storage weapon for most closets. Going vertical allows you to maxmize every inch of your storage space. Look into to investing in a over the door shoe rack, or hanging shelves. Now this is a fun one! 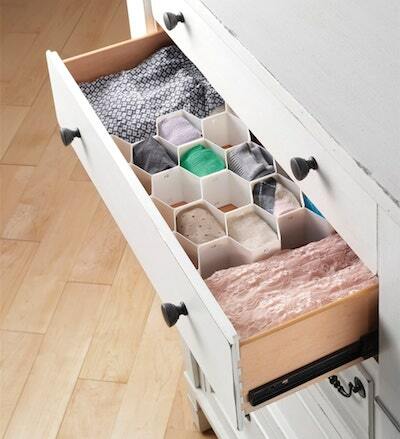 Drawer dividers can turn the most haphazard storage space into something beautiful. This works perfectly for underwear, tights, belts, socks and shirts as well. 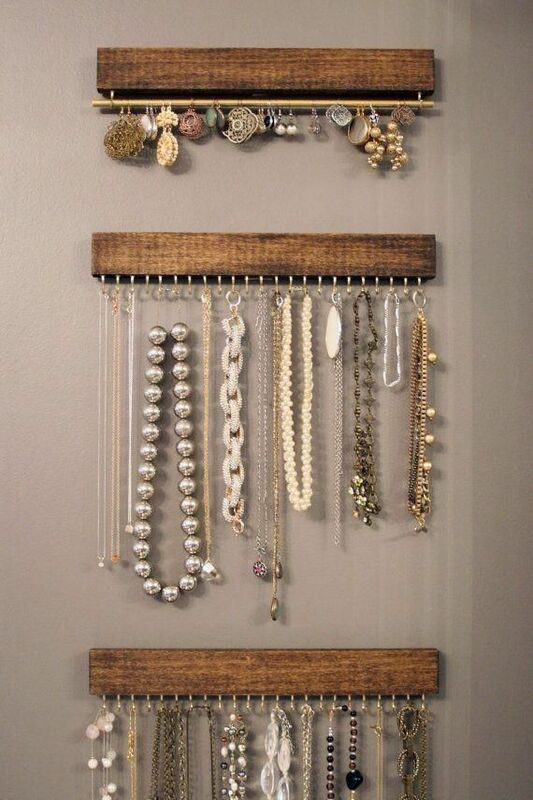 #7 Utilize Empty Wall space for Storing Jewelry and Accessories. If you have any empty wall space. Hanging your jewelry is a great way to display those pieces you love and make sure they don't turn into a knotted mess crumpled up with all your other necklaces. The best way to store your items this way is to use nails, or damage free wall hangers. #8 Use the “one in, one out” rule. 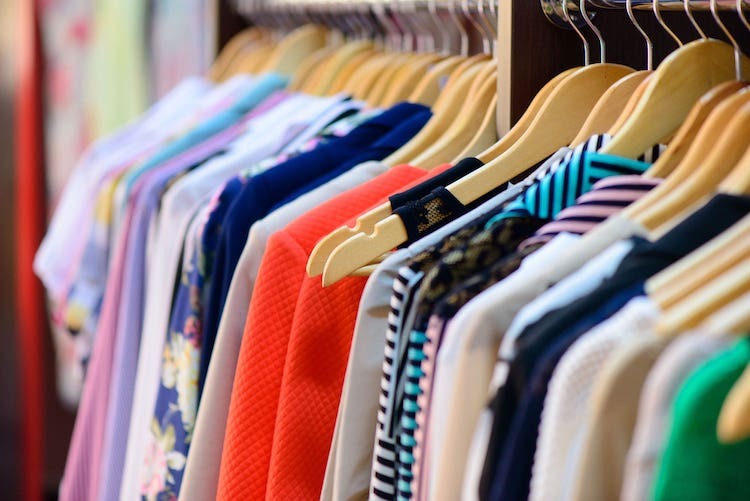 Let's face it, upkeep is hard and after all your organizing you may still end up with massive heaps of ill-fitting, outdated, or unloved clothes at the end of every year (or every season if you're a shop-a-holic). So how do you prevent things from getting out of hand? You adopt follow the Golden Storage Rule called the “one in, one out” policy. What is it exactly? Just what it sounds like. 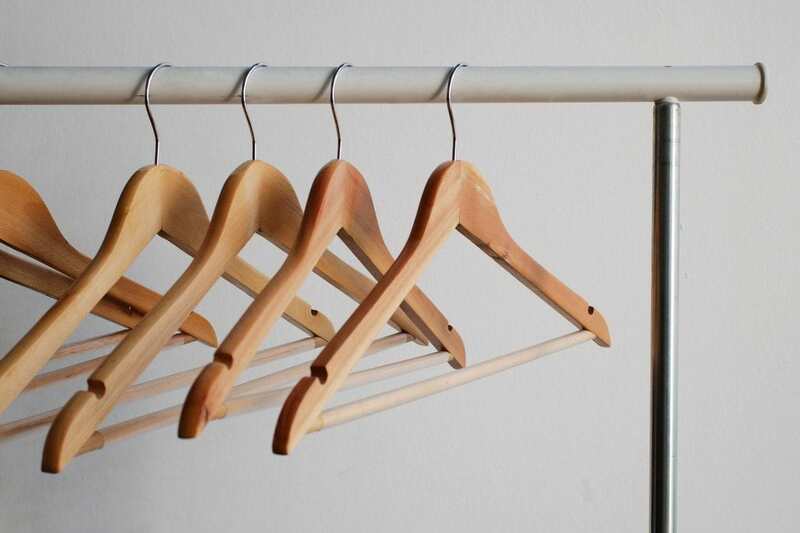 For every new item you bring into your closet, you get rid of another. Got a new pair of hot leather boots? Let go of the boring biege flats you haven’t worn in four years. Great new romper? Say goodbye to an old skirt. It’s simple, easy, and ensures your collection of clothes never gets too large to manage. We pickup your items, inventory them online, and delivery them when you need them. All your items will be a click away so you'll always stay oraganized. Trust us your closet will thank you for it! 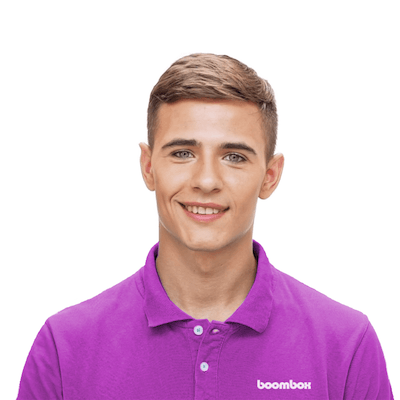 Check out more information about Boombox'sSan Francisco storage solution on our homepage.